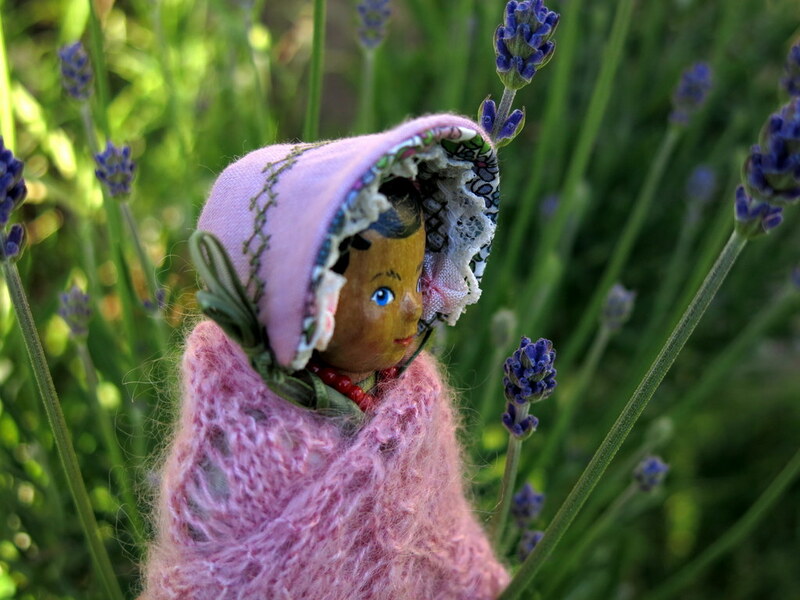 Rose received a beautiful new bonnet from by a Hitty friend! 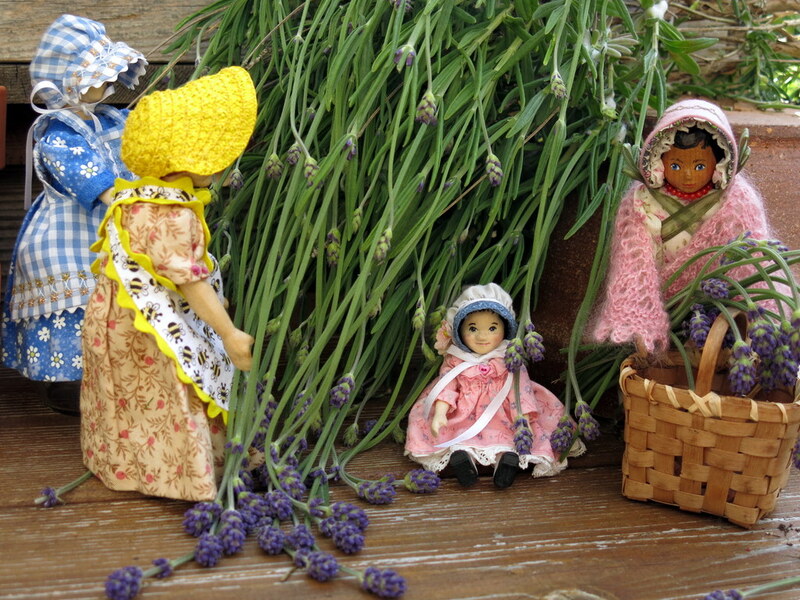 …where she discovered that a big branch of lavender was broken off and wilting! …so the girls had a work bee to collect the stems. …and hung them up to dry! What conscientious, clever and conservative Hittys live in the QH household. I’ll bet it smells oh so good. 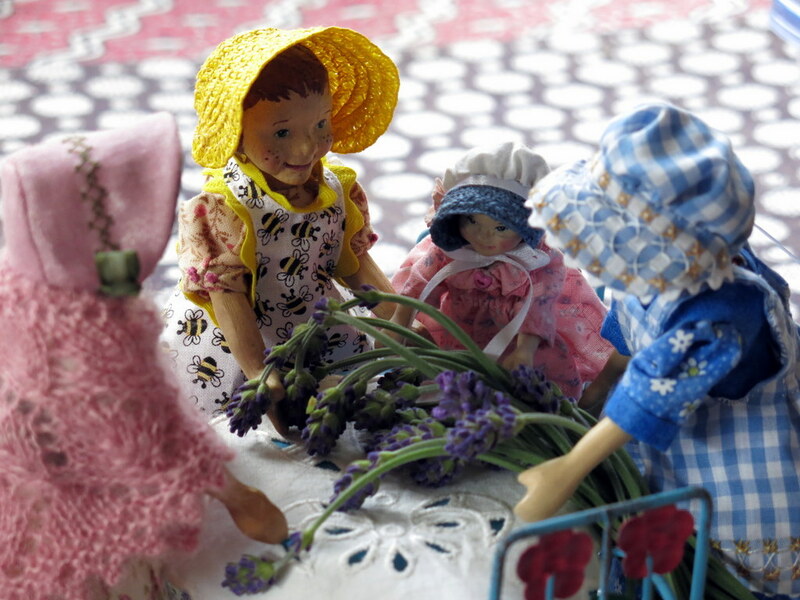 Their episodes are so enhanced by such cute little outfits and growing number of pretty bonnets. 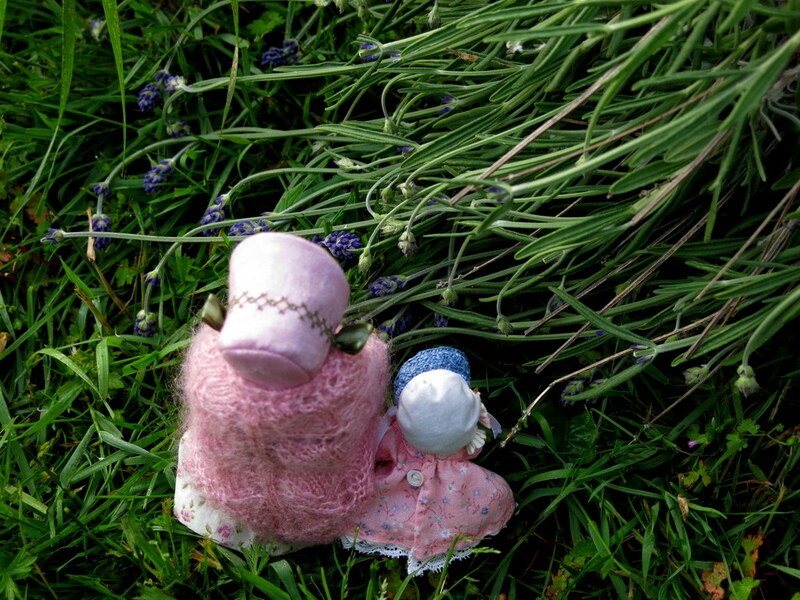 They certainly love their lavender plant, and are keen to harbour the scent as long as possible – they love to catch a whiff of summer during the long damp winters we have around here! Rose is a lucky Hitty to receive such a pretty bonnet. The scent of lavender is one of my favorites. Isn’t the bonnet a lovely thing? 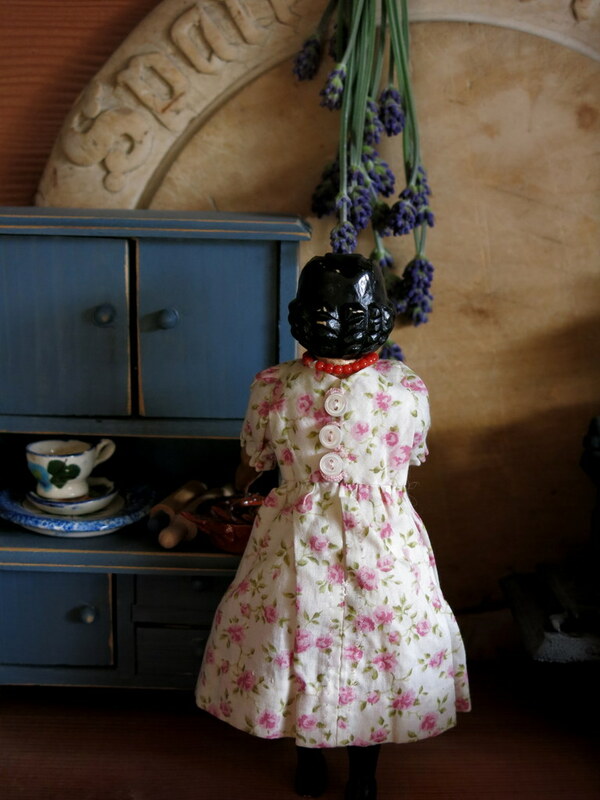 Rose is so happy as it fits her perfectly and she thinks it goes well with her complexion! Gorgeous photos. The photo of Carrot Soup in her yellow bonnet was stunning. 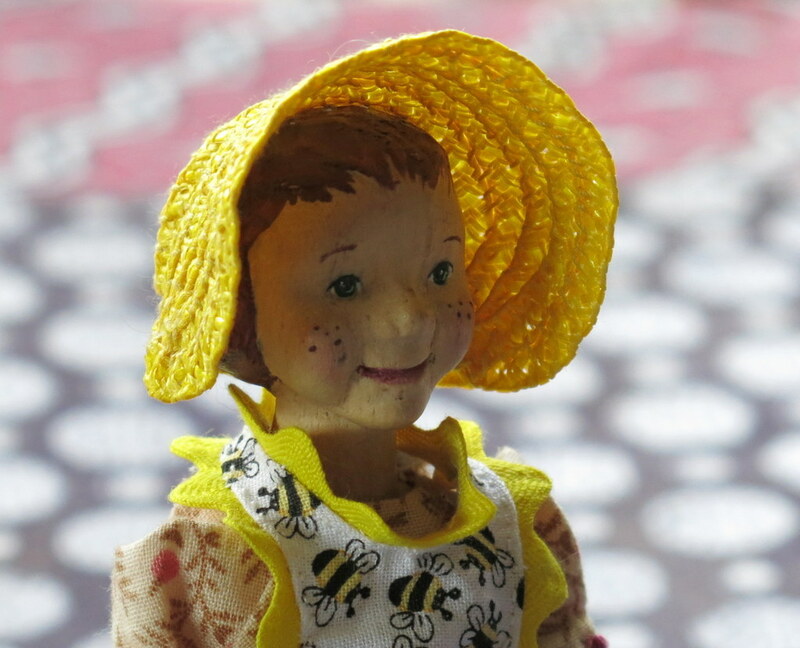 And of course the new bonnet is simply perfect for Rose. Carrot Soup was delighted with the yellow Straw bonnet – the Hittys kind of swap them around, except for the red ones, which the twins have latched on to!